The competitiveness and reliability of receivable service companies rely heavily on their technical services and processes. 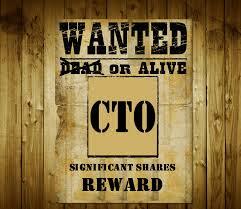 These are the primary responsibility of the Chief Information Officer or Chief Technology Officer. But most CIO's and CTO's lack all of the answers. More so, who steps in to keep your company afloat when you transition between these key figure heads? Maybe your company can't afford a full time six figure CIO/CTO but still need the skills. The biggest mistake seen repeated at companies is bringing in executives from outside the industry. A receivables software company brought in a executive to run the company a few years ago and tune the company for sale or infinitely greater success. Lacking the industry experience he alienated customers, laid off some of their more qualified staff, and basically set the company back five years, to which they're trying to recover from to this day. People with new ideas are great if they are SUBJECT MATTER EXPERTS. People from outside your industry lack the depth of knowledge. Consider Mapes Consulting as an alternative. With over twenty years average of industry experience and focused on technology and processes, Mapes Consulting is the answer you need. We have lead companies to their future success, from aiding thousand person corporations to being the as-needed (on-demand) CIO/CTO for small to medium receivables companies the same. Each expert holds a wealth of experience and a network of contacts that can complement your company and unlock your future success.